Cats are extremely emotional beings and can very easily get stressed, especially when their home changes. The basic instinct for cats in a stressful situations is to run and hide. That’s why introducing a new cat into a household can be a tricky business. On top of being emotional, cats are highly territorial too. When you change their familiar territory, you have to be patient and thoughtful with them, allowing them to adjust to the new surroundings at their own pace. However, you can use and benefit from the following tips to make the transition into a new household a bit easier. The key to introducing a new cat into the household is to be patient. Some cats adjust faster but some take their time to adapt. Your reaction to the whole situation can make the process a thousand times easier. So don’t lose your patience and trust in the timing of things! 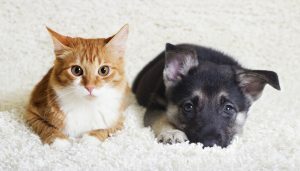 To learn more about caring for your new cat contact Friendship Pet Hospital today!